Additional Info: I am a versatile photographer with many years experience in weddings, portraiture, and social events and can be relied on for a professional, sensitive and quality service at all times. 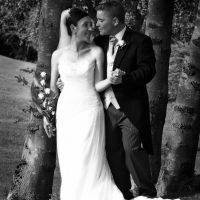 My wedding images show a story of the day with both set groups and informal shots to capture every detail. With prices starting at £500 I can provide an extremely good value service which can be tailored to your own requirements. I have a Photographic Diploma together with qualifications in digital imaging and media operations.